Atlantic Cruising Yachts, which is headquartered in Annapolis, Maryland, with offices in St. Petersburg and Ft. Lauderdale, Florida will now work with customers in Maryland, Pennsylvania, Delaware, and Northern Virginia for the Jeanneau inboard line. Already among the top Jeanneau dealers in North America, this positions Atlantic Cruising Yachts to expand their reach throughout the mid-Atlantic. 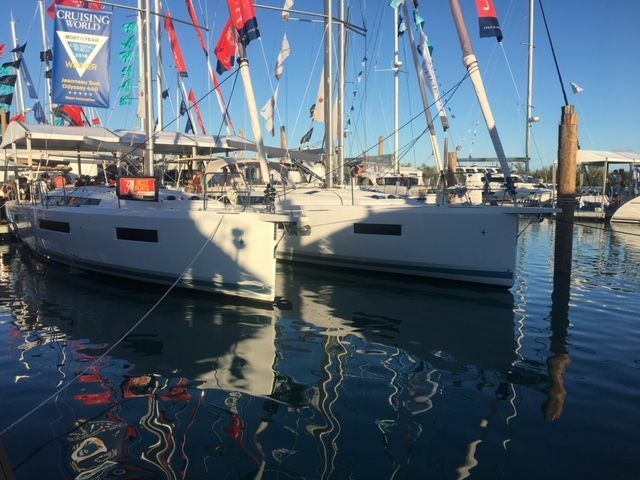 Jeanneau Sun Odyssey 440 and 490 Awarded “Innovation Award” at the Miami Boat Show! The Jeanneau Sun Odyssey 440 has been a testament to the innovation and dedication of the Jeanneau brand, having already collected four large awards this year for her clever design that allows for greater ease of movement onboard. 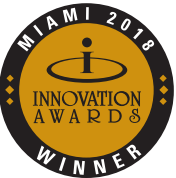 Most recently, the Jeanneau Sun Odyssey 440 was awarded the Innovation Award at the Miami International Boat Show last week! She has been seducing juries with her “welcoming, seaworthy spirit: at once cozy and sporty, masculine and feminine,” since her introduction. ANNAPOLIS, MD, January 30, 2018 — Atlantic Cruising Yachts has reached an agreement to acquire Florida Yacht Group and represent the Jeanneau brand in the Florida market, effective February 1, 2018, according to an agreement announced by both companies. Headquartered in Annapolis, Maryland, Atlantic Cruising Yachts is one of the largest sailing yacht dealerships in North America, the largest Fountaine Pajot dealer worldwide, and one of the top Jeanneau dealers in North America. The company believes the expansion will be a major benefit for yacht owners, improving availability and delivery timelines for new Jeanneau yachts, due to Atlantic Cruising Yachts’ size and strong relationship with manufacturers. We are thrilled to share with you that Atlantic Cruising Yachts has reached an agreement to acquire Florida Yacht Group and will now represent the Jeanneau brand in the Florida market, effective February 1, 2018! We believe this will be a huge benefit for all our new and current customers, improving availability and delivery timelines and helping more people achieve their dreams of yacht ownership. Stay tuned for full details in our official press release on Monday, January 29, 2018! Here’s to continuing our journey with you! The MY 44 is now the winner of the Motor Boat Award for 2018 from Motor Boat & Yachting magazine! The 2018 Motor Boat Awards, one of the most important nights in the industry calendar, took place at the Rosewood Hotel in London last week.